Did you know that, over the course of your lifetime, you will spend a total of three years in your car? You'll drive a distance equal to the moon and back? You will spend six months waiting for a green light? Twenty-three hours in a car wash? And, maybe, twenty seconds in a flock of sheep! If you are spending that much time in your car Skoda think you should do it in comfort, in their Skoda Superb! 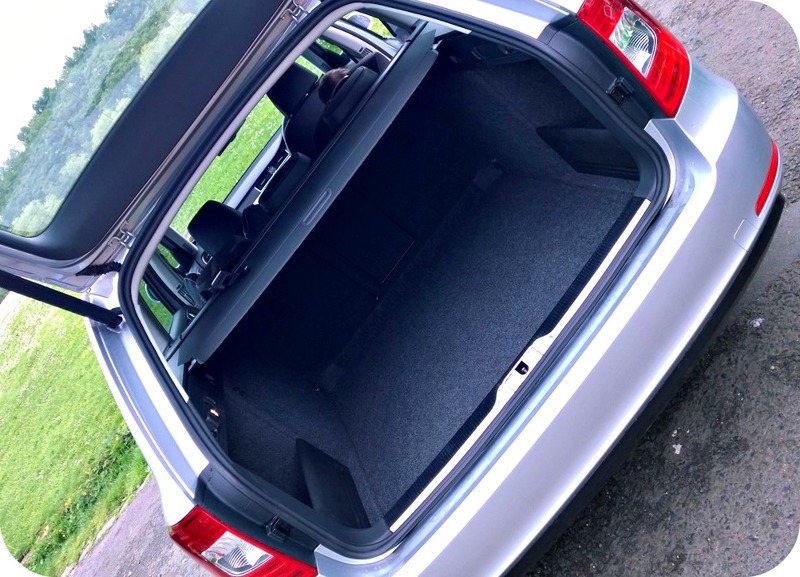 Over the bank holiday weekend Skoda loaned us one of their Superb estate cars and challenged us to get out and enjoy the weekend - banish those bank holiday blues! We took delivery of the Skoda Superb on Friday morning, and whilst we didn't really have anything specific planned, we knew we had all those little trips that every weekend requires, and a day out to make the most of our weekend too. 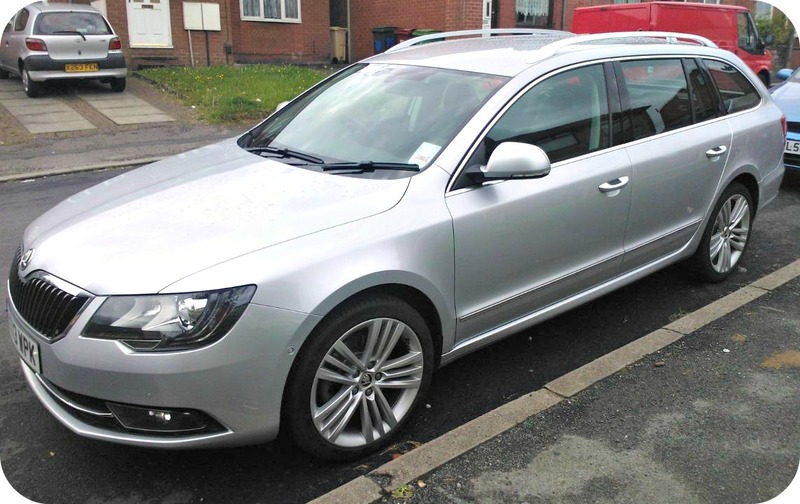 The Skoda Superb is a strikingly attractive car, sleekly curved and shiny silver. It's a large car, and the estate version has a really commanding presence. Our current car fits us in well but we do sometimes struggle when we are going away or have a lot of luggage. Our boot, especially can sometimes be on the small side for everything a family with two pre-school children needs. The first thing I registered, ever the practical one, was the size of the Superb's boot. When we packed it I was able to place my Cosatto Yo! stroller in lengthways, bottom wheels first and then close the boot door. I've never actually seen a car where the boot doesn't force you to place an umbrella fold pushchair either diagonally or horizontally across it. This car has significant storage! Speaking of closing the boot door you can open and close this one automatically. You open using a button on the key then close by pressing a button inside the door. Zero effort, super easy. We also noticed that there was a plug socket in the boot and thought that would be great for picnics or camping trips. The inside of the car is just as impressive. The front passenger side has legroom for days. I'm 5'5" and when I sat in the passenger seat I could only reach the end of the footwell with my tiptoes. The room in the back is just as good. We easily fitted Bud's Group 2 car seat and LM's Group 1 Isofix seat. We can get three car seats across the back seat in our car but I think you would struggle with this in the Superb. The back seat is wide but I suspect it wouldn't be wide enough for anything other than a simple booster seat, with no back support in there. We did have my mother in law in the car so I sat in the back, in the middle, for a short journey, and found it comfortable. This isn't really an issue for us as, if anyone does use our middle seat it is usually an adult or my older niece or nephew. All of the seat covers are made of beautifully soft leather too. The entertainment console is a thing of wonder. 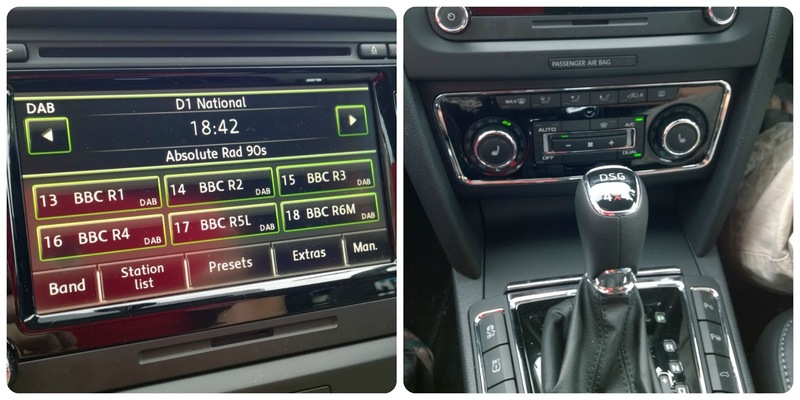 The main screen controls the built in DAB radio, DVD Player, CD Player and Satellite Navigation service. This was super easy to use and really instinctive. I'm always in charge of setting our destination and I found the satnav easy to programme. Ian was really impressed that the instructions appeared behind the wheel so he could follow them easily. We did have a couple of issues with directions but this happens with most systems I think. The DAB radio was really excellent, with great sound quality. It allowed me to listen to my favourite radio station - Absolute Radio 90's - all weekend, something I don't get to do in our car! The DVD player has a small screen but we only realised that it was there on our final day so we didn't get the chance to try it. I'm sure Bud would love it though. The centre console also offers climate control and the ability for both the front seat passenger and the driver to control their own environment. This is perfect for us as I run a few degrees cooler than Ian so I could turn my heating up and switch on the seat warmer, very soothing for my sore back, while Ian turned his down to keep himself cool. As I don't drive Ian had the pleasure of driving all weekend. We were testing an Automatic so this was a little unusual for him and it took him a while to get used to not having to change gear. The Superb has demonstrable power and the kick of acceleration on the motorway was something none of us were used to. It's a super smooth and quiet ride and, despite doing around 200 miles over the weekend we struggled to use half of the tank of diesel. I think many people immediately look to the people carrier style cars as the default for a young family these days but I do think that the Skoda Superb showed us beautifully how well it would serve us as a family. We're going away next week and I know that the Superb would contain all of our luggage in it's boot without having to pack the main passenger compartment as we do with our car. It's a really stylish, comfortable car and would be great for any family's use. Skodas have come a very long way over the last couple of decades and we wouldn't hesitate to consider one as a future family car for us. The Skoda Superb definitely lives up to it's name. Check out www.skoda.co.uk for more information about the Superb and to find out how to book a 24 hour test drive. Disclosure: We were loaned the Skoda Superb for four days over the Bank Holiday weekend.